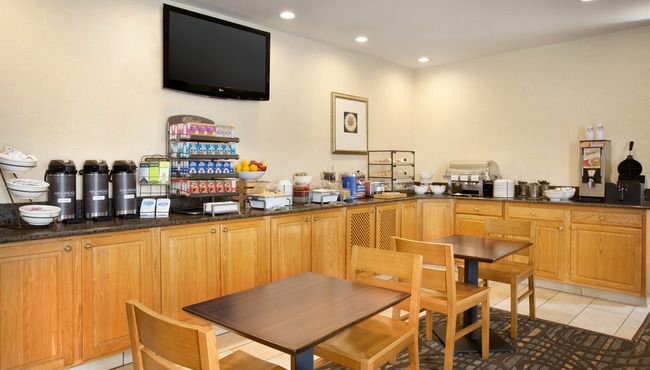 Jump-start your day with a steaming cup of coffee at the free, hot breakfast, served daily at the Country Inn & Suites, Lexington, VA. Every morning, our hotel staff sets out a smorgasbord of muffins, Belgian waffles, scrambled eggs and fresh fruit to enjoy alongside your favorite breakfast beverage. While you eat, catch up on current events with a free weekday USA TODAY® newspaper. When you’re ready for lunch, local dining options like The Palms Restaurant and Bistro on Main are less than two miles away.